As far as we know, the Earth we live on is the only planet that is able to support life. Amongst other factors, the Earth is just the right distance from the sun to have temperatures that are suitable for life to exist. Also, the Earth's atmosphere has exactly the right type of gases in the right amounts for life to survive. Our planet also has water on its surface, which is something very unique. 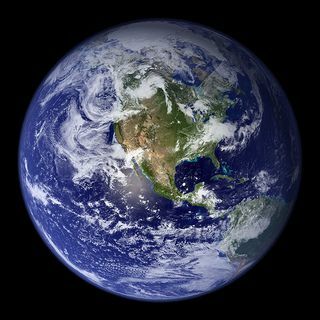 In fact, Earth is often called the “Blue Planet” because most of it is covered in water. This water is made up of freshwater in rivers and lakes, the saltwater of the oceans and estuaries, groundwater and water vapour. Together, all these water bodies are called the hydrosphere.